All-Weather Floor Mats were intended to give the best possible protection for your 2006 Cadillac Escalade's floor. 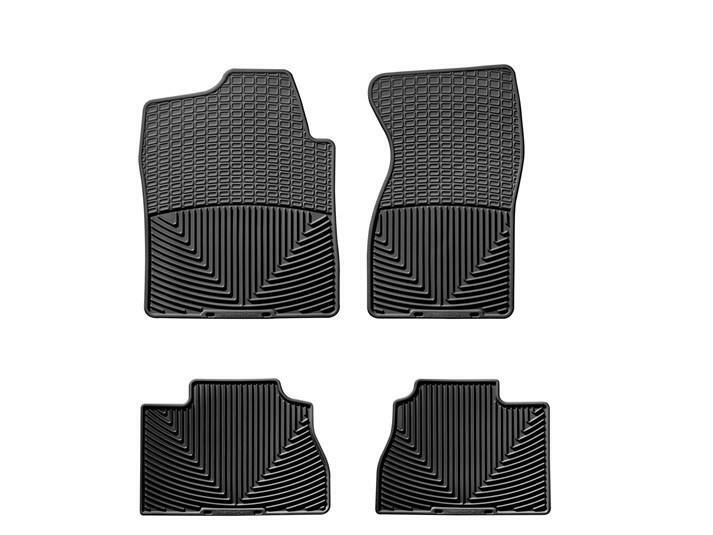 Many of our front and rear mat applications are model specific, while others are assigned as the best possible fit for your 2006 Cadillac Escalade from our many shapes and sizes. Some rear mat sizes are designed to be trimmed so that they may be customized to fit almost any vehicle. I was going to trade in my van and had been waiting for the new Cadillac Escalade Hybrid to come out. I ordered it in May and finally got word in the middle of September that it was on its way. I knew I wanted floor liners and a cargo liner because I have three boys and I knew what had happened to my minivan. I did a lot of internet research and decided on WeatherTech because they were custom fit, waterproof, and had that extended edge to cover as much of the carpet as possible. I ordered my mats and it actually beat my car here. The first thing I did upon arriving home was to install them in my car. Then I went to pick up my sons from school. One was real excited about the new car and he proceded to baptize it by spilling his juice. No problem, it was all contained in the second row floor mat (saved his life). The next day I went to the market, loaded up, got home and saw that the raw chicken tray I had bought from Sam's Club and leaked its juices all over the cargo liner. No problem, just wiped it up. After much deliberation, I decided to cut the cargo liner to install one of the third row seats. The markings were perfect, it was very easy to cut, and everything went well. I am really glad that I went with WeatherTech. The grass and dirt from their shoes I just shake out and it is part of their chores to wipe it down every weekend. Now if WeatherTech only made seat covers! Bought the all weather floor mats to cover the oe carpet ones. Went to a high school football game one Friday night and it poured down rain the entire night. The school was under construction and the parking lot was a muddy quagmire. My son brought several friends who needed a ride home. Thank heavens for the floor mats or my new interior would have been a disaster. The next day I just pulled them out and hosed them off and they were as good as new. Great product!